We hope you enjoyed our last blog post, The 7 Myths of Direct Sensing (Part I) outlining the three basic assumptions or principles we have in mind when deploying high resolution direct sensing tools, defining high resolution and direct sensing tools, and disclosing the first three myths related to site characterization projects. Below are four additional myths related to detection levels, remediation programs, cost of direct sensing, and the need for real time data with the corresponding truths. If you’re going off the basis that the contaminant levels at your site are too low for direct sensing tools, you’re probably should ask yourself do I really only have 10 ppb and if so, why do I still have 10 ppb? Direct sensing tools for contaminant profiling are first and foremost source area characterization tools. After 20 years in enviromental sampling and analysis we have come to believe in direct sensing as a means of providing the most rapid and comprehensive information about the distribution and composition of soil and groundwater contamination. Ever evolving, today’s direct sensing tools for remediation focused site characterization projects continue to add a greater range of high resolution information on subsurface conditions including hydrology, lithology and contaminant distribution to support environmental liability decision. Although direct sensing approaches are used throughout the environmental industry supporting cleanup and closure efforts, there are still several myths associated in applying these methods to site investigation and remediation projects. 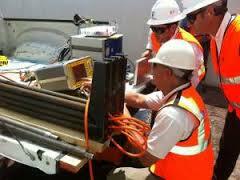 COLUMBIA Technologies is currently supporting our first direct sensing project in Mexico City. COLUMBIA’s direct sensing team landed in Mexico City in August to make a difference in the environmental industry on a global level and prove that real-time information can drive a project to satisfy regulatory requirements for investigation of contaminated sites. Following the proven concept of stakeholder and regulatory involvement, systematic work planning, and dynamic work execution, these site investigations focused on providing a better understanding of how the results would impact the overall remediation scope and property disposition. 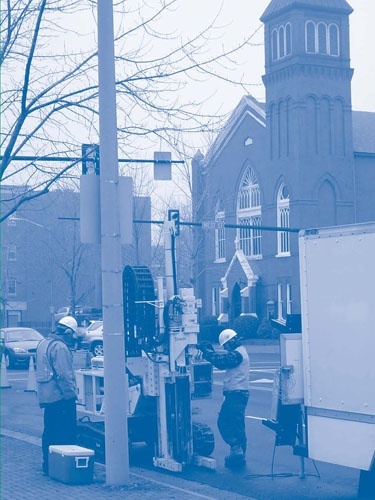 Most recently, the March 2011 issue of Technology and Trends highlighted a project where COLUMBIA Technologies worked closely with the property owner, the Virginia Department of Environmental Quality (VA DEQ), and the City to address the site's environmental and economic issues. Efforts to better delineate contamination and accelerate remediation of the former Fannon Petroleum Services site in Alexandria, VA, were initiated in the early 2000s as part of a plan to redevelop the site for residential use. A dynamic work strategy to allow real-time decision making that could identify specific locations for direct-sensing locations as work proceeded. Click the following link to read the full article, Revised Characterization Plan Accelerates Petroleum Brownfield Cleanup and Redevelopment.